Motorcycle blogs across the internet are buzzing about a recently-filed design patent for what looks to be a new Honda Monkey bike powered by the Grom‘s 125cc engine. Though we would love to be wrong on this, we’re not as bullish on this patent resulting in a production model. Here’s why. 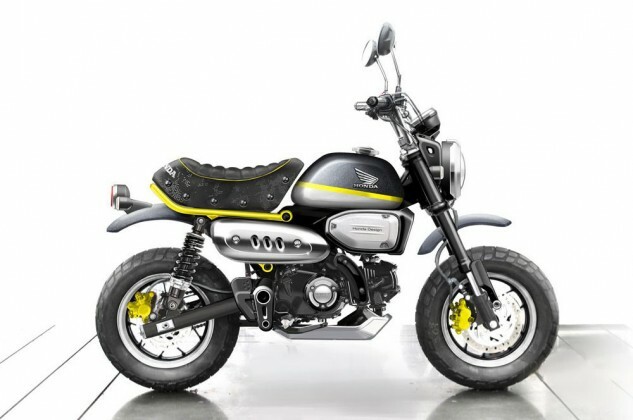 Pictured above is a Monkey 125 concept Honda showed at the Bangkok Motor Show earlier this year which looks remarkably similar to the patented design. Remarkable enough that we can’t say with any certainty that the patent for a model slated for production and not just for the original concept. And yes, companies do patent designs for concepts as well as products actually going to market. 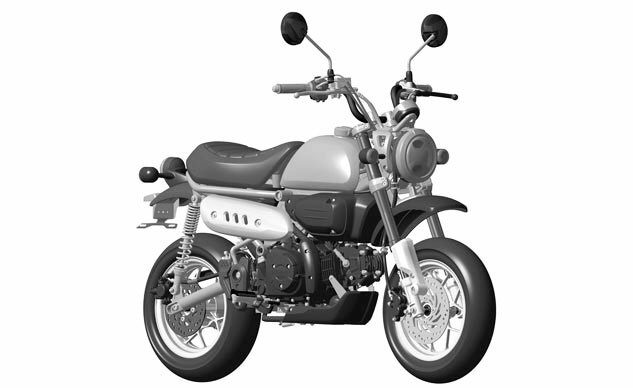 Sites are picking up on this design patent now because it was published this week by the European Union Intellectual Property Office with a filing date of Sept. 7, which some view as a sign that the Monkey 125 will be sold in Europe. While that is possible, it’s important to note the design patent was also published by Japan’s intellectual property office a few weeks earlier on Aug. 29 with a filing date of July 29. If this looks familiar then it should. 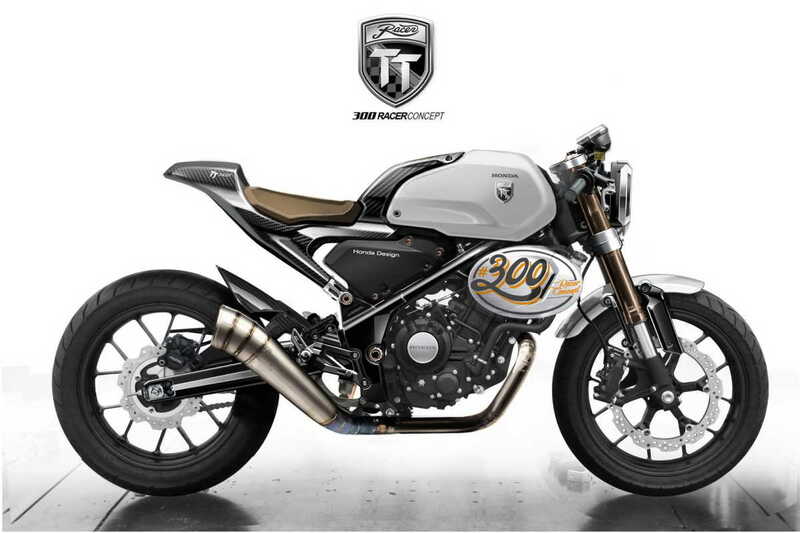 This is the Honda 300 TT that was also shown off at the Bangkok Motor Show and is very clearly a concept model highly unlikely to enter production. 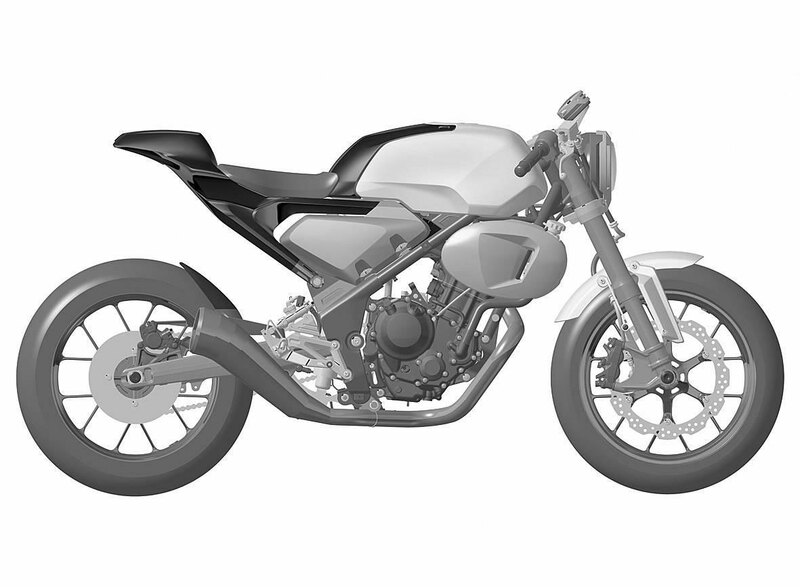 The timing of the two patent filings would suggest Honda is only filing the designs for the concepts and not a final production models. 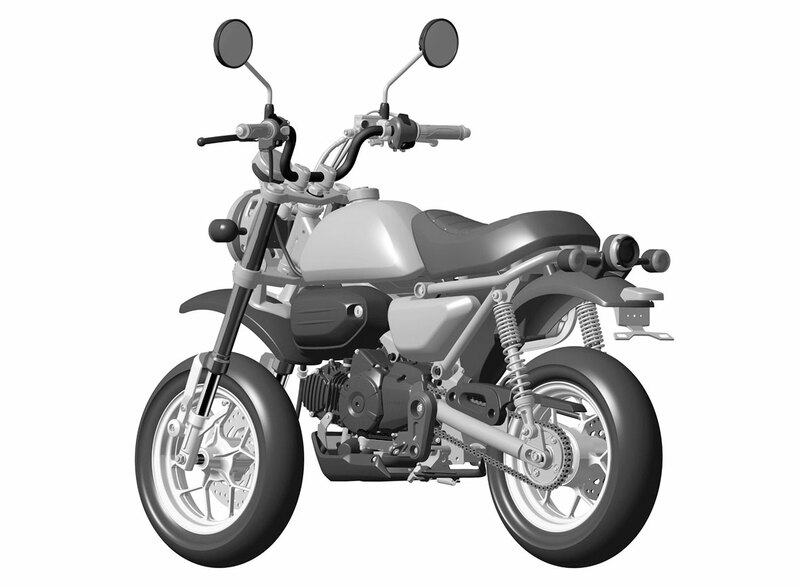 Proponents of the Monkey 125 production model story point out some differences between the design patent and the concept. The shocks look different, the instruments are mounted further forward than on the concept illustration above and the patent shows a license plate mount. What they forget is the illustration is also a rendering and not a photo of the concept itself. Take a look at the physical concept in the video below. The instruments are further forward and yes, the concept also has a license plate mount identical to the one in the design patent. And look at the headlight; does that look like the lighting unit that would be included on a low-priced model like a Monkey 125? Can we completely rule out a production version of the Monkey 125 concept? Absolutely not. Honda has been known to surprise us before. We need only take a look at the NM4 to see something we thought would only be a concept go into production. But based on the evidence at hand? We’d say this design patent is nothing more than just a concept. We’ll be glad, however, if Honda proves us wrong.